Dynasty Restaurant of Renaissance Kuala Lumpur Hotel is no longer newbie in MIGF, in fact it is one of the premier restaurants that has participated in the festival since its inception. The restaurant has a long standing reputation for excellence, with numerous MIGF awards won over the many years. 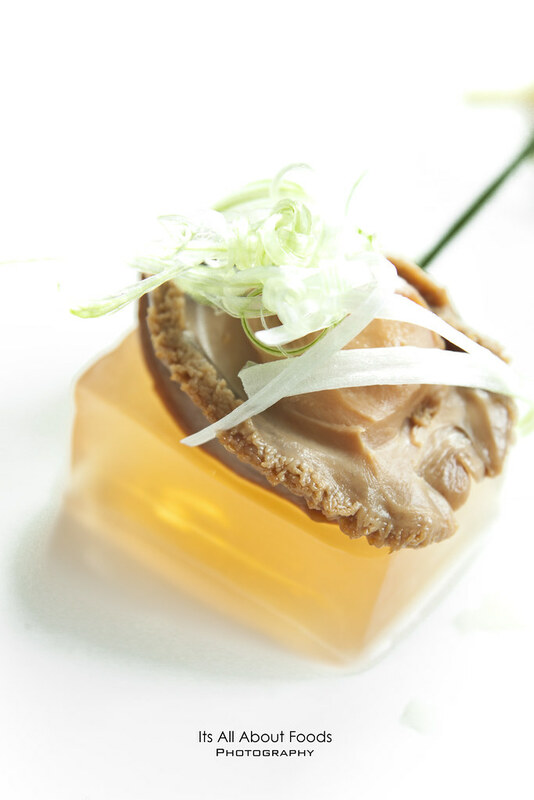 It is glad this year, Dynasty is still on the list of participating restaurants for MIGF 2013, bringing a whole new range of Cantonese delicacies prepared by award winning dim sum by Chef Kok Chee Kin, and his team. 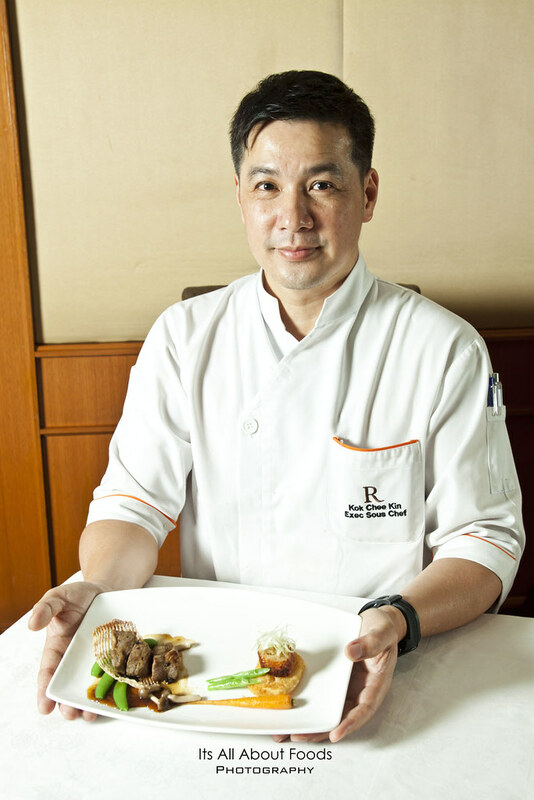 With more than 20 years of experience, Chef Kok Chee Kin is not a newcomer in the world of high-end Chinese cuisine, and has earned his stripes to become Executive Sous Chef in Dynasty restaurant. For this festival, chef will delight diners with his 4-course menu consisting eight dishes of diverse flavours including Lobster Bisque, Pan-seared Wagyu Beef and Sauteed Cod Fillet. 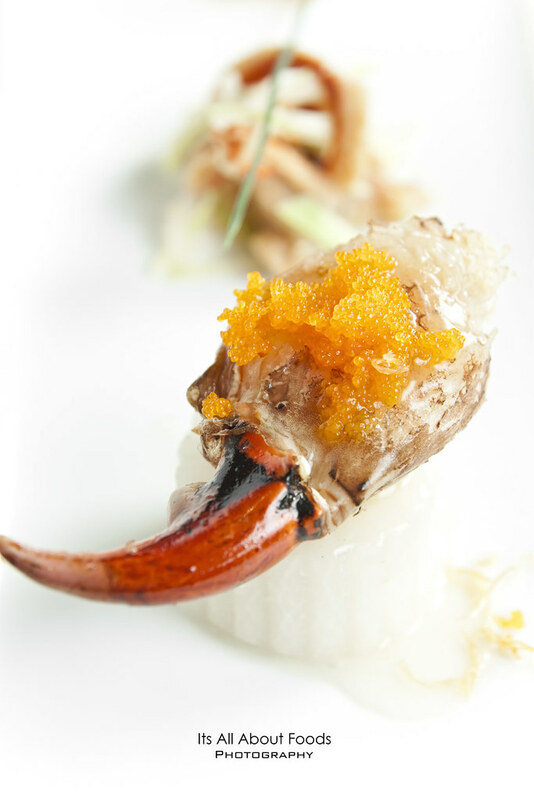 The menu started with appetisers consisting Chilled-Braised Whole Mini Abalone, Chili Coral Clam in Brown Sauce, and Poached Crab Claw, Melon Ring Scallop. 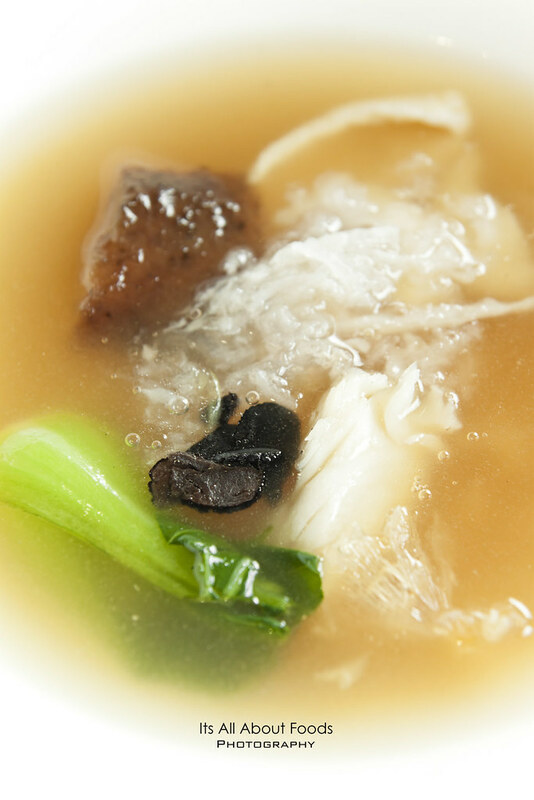 Chilled-Braised Whole Mini Abalone is an interesting course, with firm abalone crowning on a squared shape jelly, savoury and gelatin texture, very much like a solidified superior stock. Chili Coral Clam in Brown sauce brings in a Thai twist by having chilled striped coral clam together with mango salad to render a mild spiciness and a faint hint of tanginess. 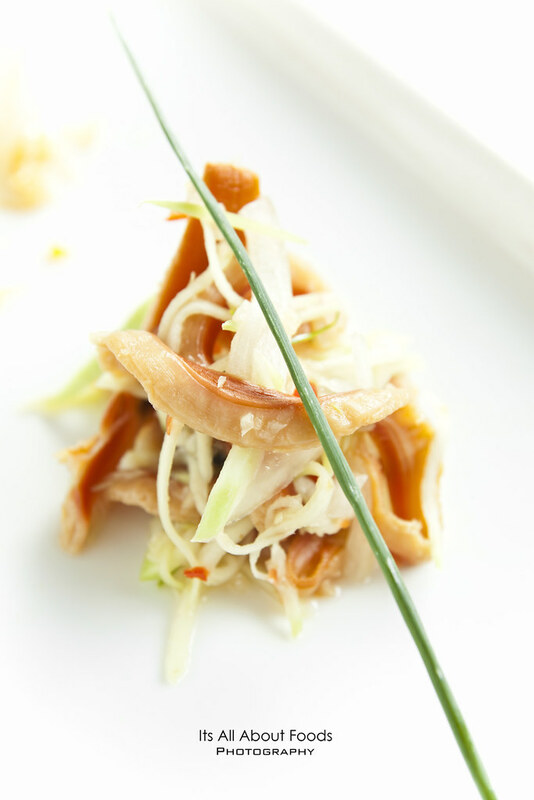 A great starter that whet up the appetite. Poached Crab Claw hollowed melon ring stuffed with bouncy seafood paste, layered with scallop and then topped with poached crab claw. Plentiful in textures, subtle in flavours. Continue on the menu sets a bowl of nourishing and delicately prepared soup which is thick and rich in flavours, luxuriantly wrapped with lobster bisque, ocean treasure, bird nest and truffle. A taste of elegance. 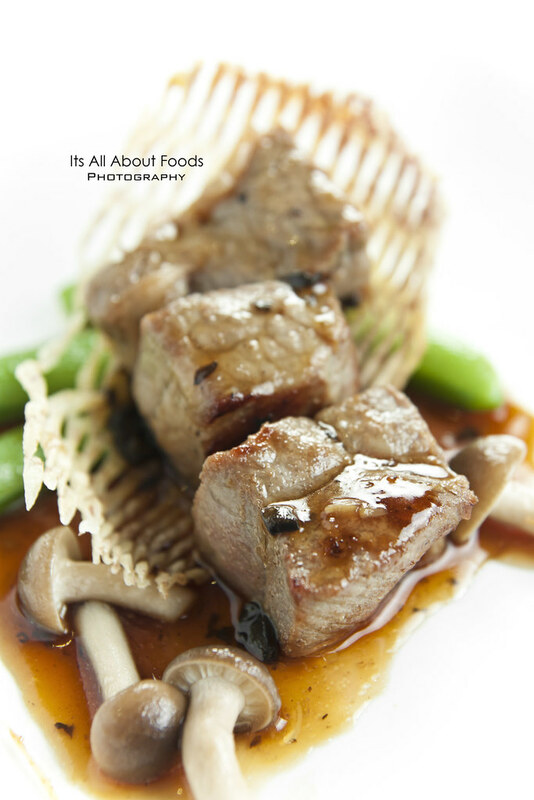 For mains, diners can fulfill their discerning palate with Pan-Seared Wagyu Beef, Wild Mushroom Reduction; Roulade of Duck & Glutinous Rice; Sauteed Cod Fish, Sea Scallop, Capsicum & Eggplant Puree; Homemade Abalone Noodles, freshly peeled Crab Meat. Pan-Seared Wagyu Beef, Wild Mushroom Reduction and Roulade of Duck & Glutinous Rice go into our top favourite. Cubed and lightly pan seared, the Wagyu beef with fine flecks of fat weave in gracefully to conclude a tenderly soft meat texture, showered with savoury brown sauce to add extra flavours. Roulade of Duck & Glutinous Rice presented beautifully with sticky, chewy glutinous rice rolled within flavourful, crispy crackling duck skin that comes with a thin layer of fat to moisturize the overall texture. Bedded beneath the roulade crispy salmon cake, a combination of flakiness, juiciness and crispiness. End the meal with favourite local flavours of Crispy Golden Durian with Sugar Cane Sorbet. Dynasty Festival Menus are priced at RM150++ per person (without wines) and RM199++ per person (with wines) as well as RM120.00++ for a light Festival Menu without wines consisting of appetizers, soup, choice of one (1) main and dessert for those opting for a quick bite.